There is a common misconception that TV installation professionals limit their work to large flat screen installations, but this couldn’t be further from the truth! Professional TV installation companies like Suncoast Installations offer an incredible range of services designed to bring your home theater to life! Of course, any TV installation company that is worth its salt handles flat screen installations, Suncoast Installs included! From 25” to 70”, Suncoast Installs can handle tabletop or wall mounting when it comes to flat screen installations! For some homeowners, it’s not necessarily the flat screen installations that are a problem, but the connection of video components! Fortunately, Suncoast Installs are well versed in all the most up to date technologies and video component connection is a breeze! If you have ever finished your flat screen installations and sat down only to realize that you haven’t the first idea of how to program your new remote? Don’t worry, you’re not alone! Plenty of homeowners are confused by remote control technology these days! No need to worry, though, because the professional installers at Suncoast Installs can program even the most difficult to understand remote control for you! When performing flat screen installations at home, most homeowners don’t even try to tackle concealed wiring. This reluctance is usually down to fear or cutting in to the wall, lack of construction knowledge, or simply not wanting to take on the additional work. Luckily, Suncoast Installs knows everything there is to know about concealed wiring and they can complete your TV installation projects neatly, safely, and professionally! Plus, their technicians always leave your home just as they found it by cleaning up any debris from the installation process. When purchasing a flat screen TV, many homeowners also invest in a surround sound system. What most homeowners don’t know, however, is how to appropriately place these surround sound speakers to optimize the acoustics in the room. That’s where Suncoast Installs comes in! Alongside flat screen installations, Suncoast also knows everything there is to know about placement and connection of surround sound! Not everyone decides to install a full surround sound system, some homeowners (particularly those living in smaller spaces) choose sound bars instead! Sound bars can be a great way to disperse sound throughout the room, but when set atop an entertainment unit that sound can be distorted through vibration. That is why Suncoast Installs specializes in mounting sound bar sound systems to optimize sound output and minimize sound distortion! Not every client wants their flat screen installation on their living room wall. 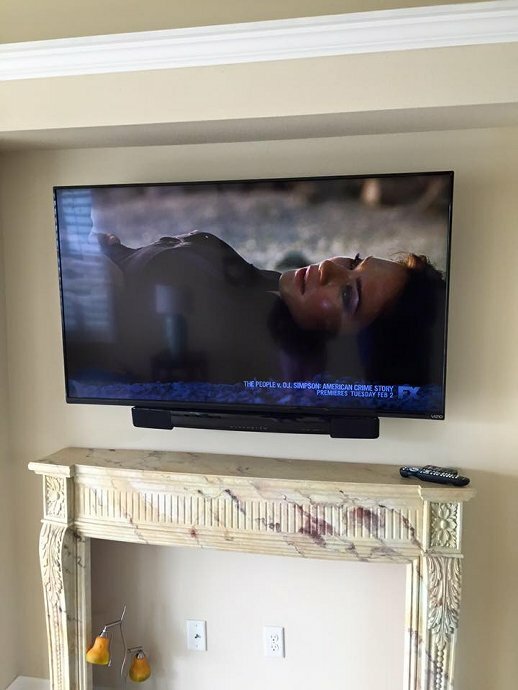 Sometimes clients need their TV’s mounted on stone or brick fireplaces or external walls of the home. This type of TV mounting can pose unique problems without the right tools on hand. 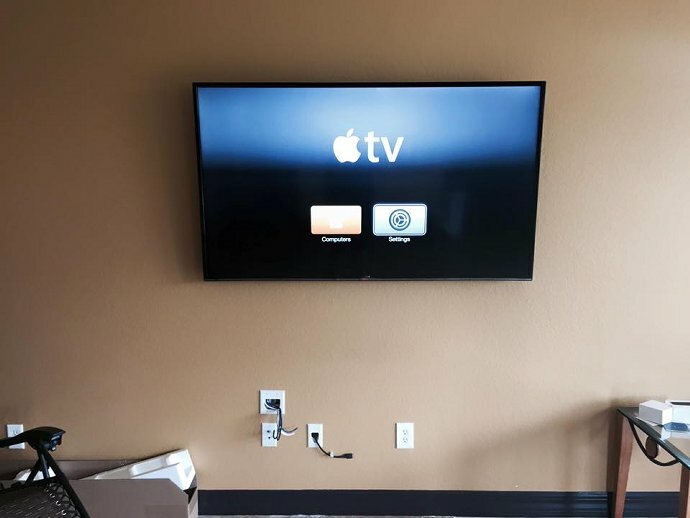 Fortunately, Suncoast Installs has every tool under the sun to make sure that your TV can be mounted on a wide range of unique surfaces! Think that Suncoast Installs has an installation service that could benefit you? Give us a call today at 727-480-8358 or request a quote. Next Post5 Pictures from Recent TV Installation Services We’ve Done!